Egyptian stock market started the week in green notes with gains estimated at 3.2 billion Egyptian pounds (US$170.8 million) on Arab and Non-Arab buying appetite. The market capitalisation recorded 632.896 billion pounds during the closing session of Sunday. Egypt’s benchmark index, EGX30 climbed 0.48 percent to 13287.76 points. 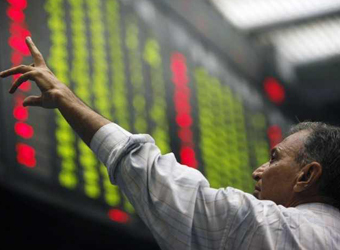 The EGX50 EWI index soared by 1.53 percent to 2071.99 points. EGX20 increased by 0.84 percent to 13422.82 points. In addition, the mid- and small-cap index EGX70 solely dropped by 0.06 percent to 472.88 points. The price index, EGX100 inched up by 0.09 percent to 1155.37 points. On Sunday, the bourse’s trading volume has reached 610.585 million securities, with turnovers closed at 1.442 billion pounds, exchanged through 39,833 thousand transactions. Also during the closing session, 182 listed securities have been traded in; 40 declined, 120 advanced; while 21 kept their previous levels. Arab and non-Arab investors were net buyers on Sunday getting 13.39 percent and 3.88 percent respectively of the total markets, with a net equity of 41.634 million pounds and 6.168 million pounds, respectively, excluding the deals. On the contrary, Egyptian investors were net sellers capturing 82.73 percent of the total market, with a net equity of 47.803 million pounds, excluding the deals.